Durian Dynamite Slot Review (Quickspin) | Does It Play Like It Stinks?! The smelliest slot game ever? All we know is that it’s Quickspin’s first ever fully 3D-rendered game. In fact, it’s also completely maxed out on volatility, while also delivering some of the best potential of hitting big wins with less spins. I think they nailed it in many ways, including one of their new features, so let’s see how much of a balance it offers between fun and that bang for your buck! There will be lots of Wilds. Lots of juice. And there will be lots of smelly Durians flying around reminding you of your trip to Asia. All that is coming as part of the 20-line Durian Dynamite on April 9! Find it at new and favourite Quickspin casinos like Dreamz, Frank & Fred, SlotsMillion. First things first, Durian Wild is the highest-paying symbol in this game. It pays up to 50x the total bet for 5 of a kind. Better yet, like the rest of the 10 regular symbols (Watermelon, Orange, Plum, Grapes, Cherry and the 10 – Ace), it can also appear stacked, on any reel. Now, the more exciting Wilds – Dynamite Wilds! These special wilds can only appear through those pipes above the reels (Dynamite Reels). Every time it spits at least one Dynamite Wild, it’ll multiply as many times as you have ammo in the Dynamite Supply (the pipe on the left of the reels). This is the best part – whenever those Dynamite Wilds start multiplying, they can bump into each other. As they explode, they multiply: x1 becomes x2, then x2 can turn into x4, etc. They won’t stick or re-spin, so you’ll have just one shot. Durian Wilds pay up to 50x the bet per line! The Dynamite Launch feature does spice up the game, but it gets even better. What if you could add even more Dynamite Reels? Then maybe some more Dynamite Wilds. And all that while enjoying rounds of free spins?! This is where the main bonus, Free Spins with Upgrade Picker comes in. And you’ll need 3x Bonus symbols to trigger the feature with 6 free spins by default. 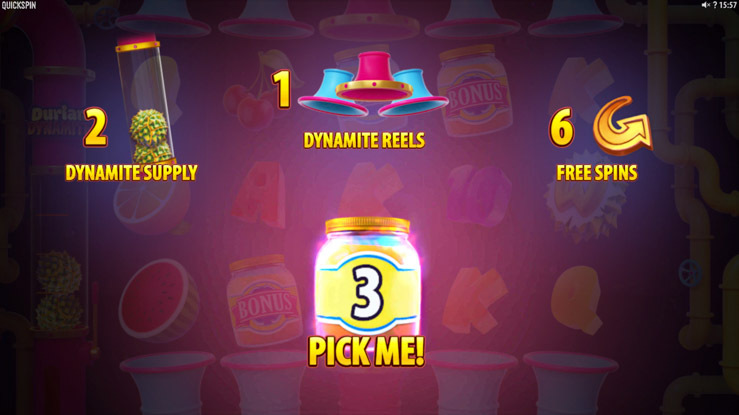 The Upgrade aka Bonus Picker guarantees 3-6 random upgrades, awarding you with up to 36 Free Spins, increasing the number of Dynamite Reels, or getting up to x2 extra Durians in the Durian Ammo. Alright! Bonus Picker for 3-6 guaranteed UPGRADES. What’s the win potential of the Free Spins bonus? Don’t expect a big win every time you trigger a bonus, but the fact that those Durians can create a chain reaction much easier and cover a larger portion of the reel with Wilds is what keeps the hopes up and adrenaline pumping. 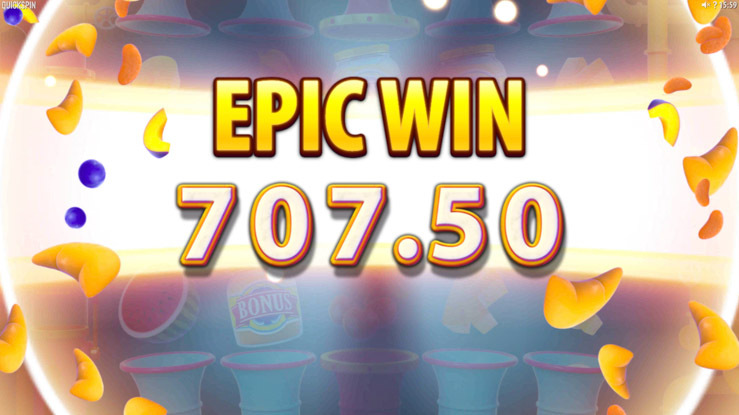 Conclusion — How Tasty is This Explosive Slot? Even if you don’t rock the latest tech, the game is tempting because it packs a punch with a chance of covering the entire reel with Wilds and maxing out at 2,500x the bet! If 4-digit jackpots are too mellow for your taste, then be sure to try Tiger’s Glory (13,830x) or Ticket to The Stars (9,714.2x), which are also available at the featured Quickspin casinos. 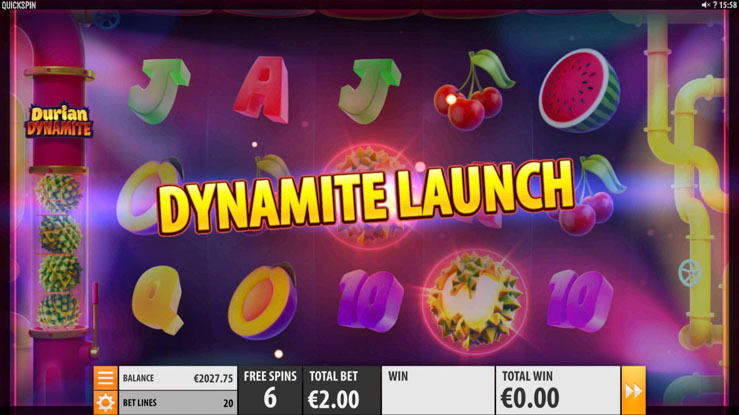 Dynamite Launch feature — multiplying high-paying Wilds in the base game. Free Spins bonus – more Wilds and up to 36 free spins. All that comes at an RTP of 96.22%, which is just fine. 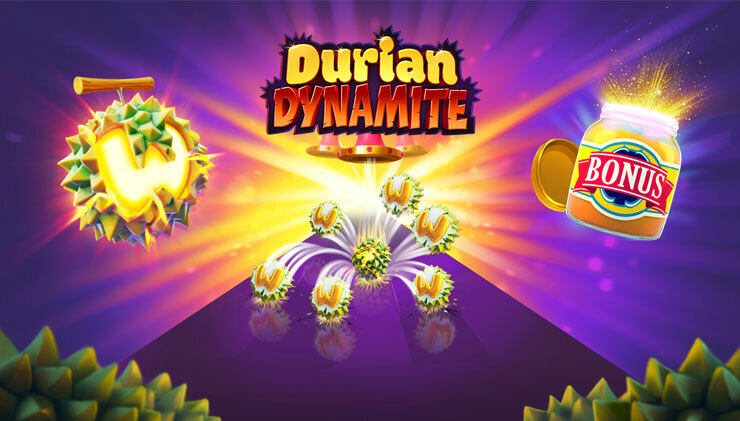 🧨 Play Durian Dynamite: Available at Dreamz, Frank & Fred, SlotsMillion on April 9. Note: All of those casino welcome bonuses will also be usable on this Quickspin game.